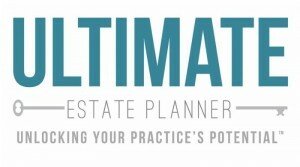 Martin “Marty” Shenkman, Esq., CPA, MBA is an estate planning attorney and Certified Public Accountant who authors a number of publications each month, including his monthly e-mail newsletter, “Practical Planner“. Below is the second installment from Marty’s March/April 2012 newsletter. To be added to Marty’s monthly e-mail distribution list, e-mail newsletter@shenkmanlaw.com. √ Many chronic illnesses, in addition to physical or other symptoms, are coexistent with depression. Depression can be part of the symptoms of the illness itself, or as the result of the impact of the illness on the client’s quality of life, or a consequence of medication used to treat the illness, or a combination of all three factors. Depression may affect your objectives, capacity, and risk for being unduly influenced. With depression sleep may be impaired, you may see the world through dark colored classes, you may have little energy and no ability to concentrate, etc. Depression may make you more susceptible to undue influence. If concentration is significantly impacted, your cognitive function may also be affected. √ Consider who is making the assessment of your competency (capacity). Many primary care physicians don’t have the expertise to make these diagnosis, yet often lawyers rely on reports from primary care physicians to support their ultimate legal determination as to capacity. For patients with known depression, less than 25% were documented as being depressed in their primary physicians’ charts. Less than 10% were taking medication for depression. The statistics concerning the diagnosis of cognitive impairment are similarly weak. For a proper diagnosis, a number of different disciplines might be tapped. The basic analysis should include a bio-psycho-social framework. It is important to look at the entire person and not just a part. Evaluating medical records might be a good start, but when a full picture, including the patient’s social environment, is obtained, everything is put in context. √ The testing process itself may yield a false positive. If someone age 85 is put through a 6 hour neuropsychological test, at the end of the test his performance could be affected as a result of the fatigue caused by the testing process itself! √ How at risk are you to undue influence? What can be done to ascertain or corroborate you true wishes? Even if there is a strong risk of undue influence, if you’ve been consistent for decades (e.g., your will has always left your son a double portion), your wishes may be clear. The real challenge is in assessing the reality of undue influence if you’re living with moderate dementia. While changes in your historical pattern of disposition of assets might suggest an issue, is it? √ A court might find that you had sufficient capacity to make a will, but then disqualify the will because of undue influence. In re Estate of H. Earl Hoover, no. 73519, Illinois, 6/17/93. Since capacity is a continuum, even if capacity is diminished, it may prove easier to challenge the will by demonstrating undue influence. √ In early stages of even Alzheimer’s disease no one should assume that sufficient capacity does, or does not, exist. If the diagnosis was made by a primary care physician, what reliance is reasonable to place on the conclusion? What precautions should your lawyer take? The fact that you were prescribed a drug, such as Aricept, does not necessarily prove your cognitive status. √ Competency is also situational. You may lack competence at one point in time, but you may be competent at another point in time. For example, you might feel so anxious in your attorney’s office that you cannot adequately respond to the queries your attorney believes essential to the demonstration of adequate capacity. Perhaps your lawyer should have a therapy dog present and serve lots of great snacks to put you at ease! Documenting the situational impact on competency presents another type of challenge. To download the complete newsletter and prior newsletters, click here. ABOUT THE AUTHOR: Martin “Marty” Shenkman, Esq., CPA, MBA is an estate planning attorney and Certified Public Accountant from Paramus, New Jersey. He received his Bachelor of Science degree from Wharton School, University of Pennsylvania 1977 with a concentration in accounting and economics. He received a Masters degree in Business Administration from the University of Michigan 1981, with a concentration in tax and finance.